On June 16th, 2017, I had the opportunity to attend a Latosa Escrima seminar by none other than the master himself, GM Rene Latosa! 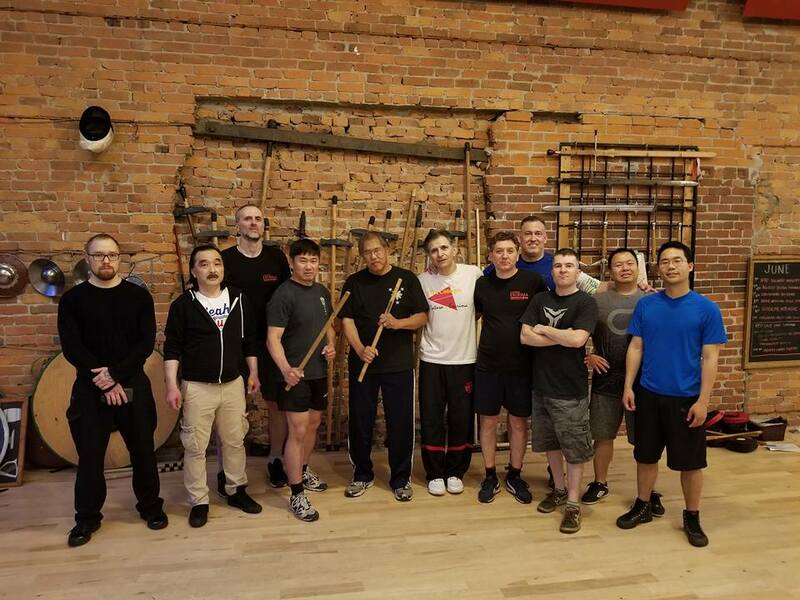 This was organized by Behzad Karim of Back to Basics Self Defense, and held at the Academie Duello (this was a great environment with medieval sparring occuring in the background). Apparently, as per Sebastian Molnar of Salsa Kapow, they also hold salsa classes at this venue. Several others from the Wing Tsun Kung Fu Vancouver class also came. Si-Fu Ralph Haenel told us that Rene Latosa is very friendly. He was absolutely correct! 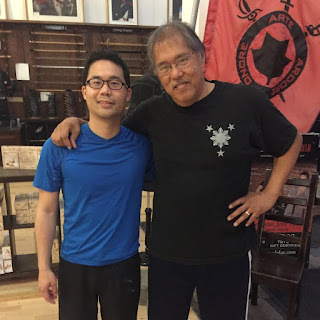 Prior to this seminar, my first and only exposure to Latosa Escrima was in Toronto, while I was also learning Wing Tsun from Si-Hing Asad Mir. He had held some Latosa-Escrima classes at one point. I recently found my content sheet with the Level 1 program. I had not even finished level 1 yet. This was 12 years ago! I hardly remembered the form. The one thing that impressed me about the seminar was that GM Rene Latosa initially asked us to just move as we would naturally during a strike, while he observed our motions. I was very glad that he did not teach any specific techniques. Had he done so, I am confident that my body would have been restricted, and I would not have learned as much as I did. I also liked the learning point that in a self-defence situation, we were not expected to be accurate with our first strike. In fact, we should almost be expected to miss, and be ready for more strikes. In the heat of the moment, when trying to defend oneself or others from harm, there will be increased stress and limited time to react, so I can certainly see this occurring. I’m not going to go through all the drills that we did. Rather, like most of my previous Wing Tsun seminar reviews, I will outline 3 main ideas that I gained from the seminar. 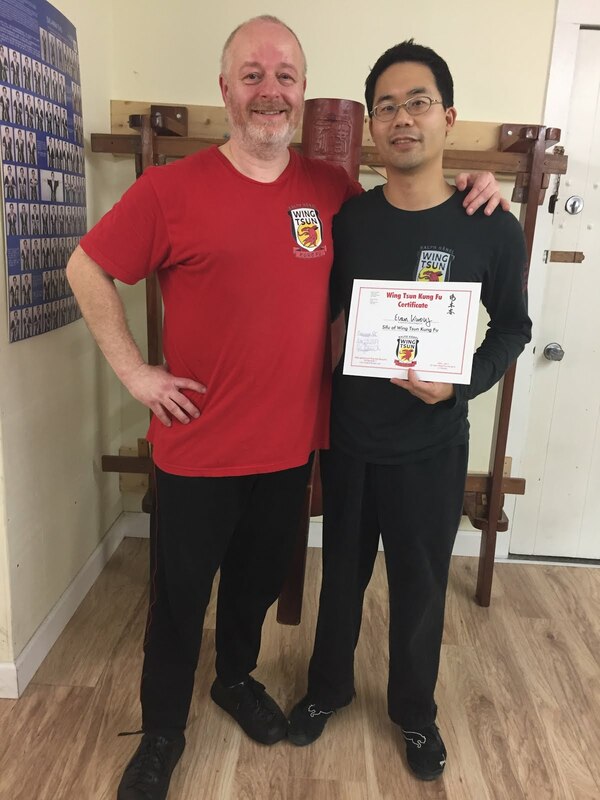 The practice of whole-body movements in Wing Tsun have already activated many connections in my body. The drills that we were shown did not feel foreign to me. While the movement patterns were not identical, the concepts of prerequisites for good powerful striking was, including such things as a sinking stance, relaxed posture, activation of our spine, weight-shifting, the use of large and small circles, etc. Keep moving and learning about your own body's movements! In the Wing Tsun system as taught by Si-Fu Ralph Haenel, training with the Luk Dim Boon Kwun (long pole) and Bart Cham Dao (knives) improves our empty hand skills. In Latosa Escrima, I found that this was a common theme as well. Yes, we train with weapons, but it does not only translate to being better with the Escrima sticks, or the staff. It accelerates our empty-hand skills. The crucial point, however, was to be able to self-analyze and critically think about the drills you are doing. Can you honestly say, that when you go through a drill, that you don’t get stuck in a repeated predictable rehearsal with your partner? Do you fall into the trap of a monotonous dance? Or, are you in the moment, feeling your body movements, accessing all the options? Is there intent at every second? What is the drill's impact on your function? This is where you picture a half-circle of striking zone in front of you. I can see the link between this idea, and the practice of the Weapons Chambers as taught by Si-Fu Ralph Haenel. Although we have the direct lines of attack in Wing Tsun, we also have a variety of options, and should also have the ability to generate power in many directions. We must not be stuck on a classical A -> B chain punch. There are many different punches in Wing Tsun, and many different ways of using a strike from our Weapons Chambers. To extend this even further, perhaps we should picture an entire circle of striking zone, with a circumferential sphere of powerful options. In the weeks leading up to the seminar, I was asking myself various questions, thinking about all the differences between Latosa-Escrima and Wing Tsun. “What were the 7 strikes? Were there 7?" In the end, it did not matter. Why? Because, as I said before, we did not learn specific techniques. We went through numerous drills and creative ideas that allowed us to activate our bodies, in order to improve our skills. This was just a snippet of what can be gained from attending a Latosa-Escrima seminar by Rene Latosa. I am glad to have had the opportunity to meet and listen to such a modest legend. Si-Fu, Sifu, what's in a name?